The sloping sides of a skillet allow you to easily shake the crepe pan, performing the jump-flip maneuver that cooks like to show off with. 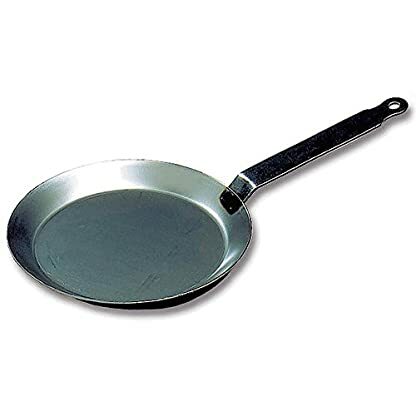 This crepe pan has the shape of a skillet with sides that flare outward at an angle. 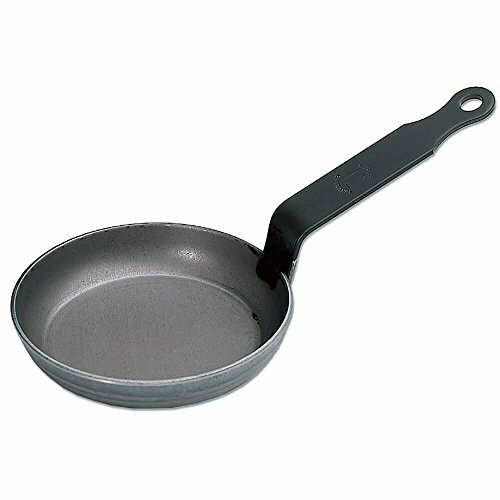 Our incredible black steel fry pans are amazingly strong and made to last. Our incredible black steel fry pans are amazingly strong and made to last. Black Steel distributes heat excellently. This crepe pan has the shape of a skillet with sides that flare outward at an angle. 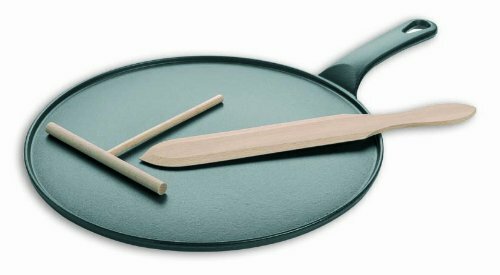 The sloping sides of a skillet allow you to easily shake the crepe pan, performing the jump-flip maneuver that cooks like to show off with. Top Fry pans in black steel plate for all hob types. High quality extra strong steel strip handle. Heavy duty construction. Should be “seasoned” for non stick use and prolonged life. Measurements: The top diameter is 7″, the bottom diameter is 5.5″, the overall length is 14-1/8″ including the handle. Weight: 1 lbs. 4 oz. High quality extra strong steel strip handle. Heavy duty construction. Should be “seasoned” for non stick use and prolonged life. 2 x Matfer Bakers Oven Gloves / Mitts. 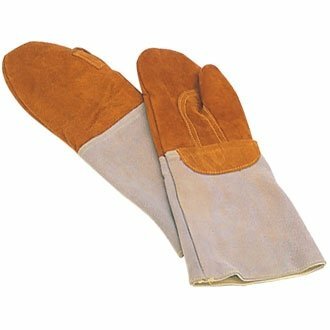 Heat Resistant Leather padded elbow length gloves / pot holders safe to +572°F. Sold in pairs. Matfer Bourgeat 071122 Cast Iron Crepe Pan 2 x Matfer Bakers Oven Gloves / Mitts. Heat Resistant Leather padded elbow length gloves / pot holders safe to +572°F. Sold in pairs.